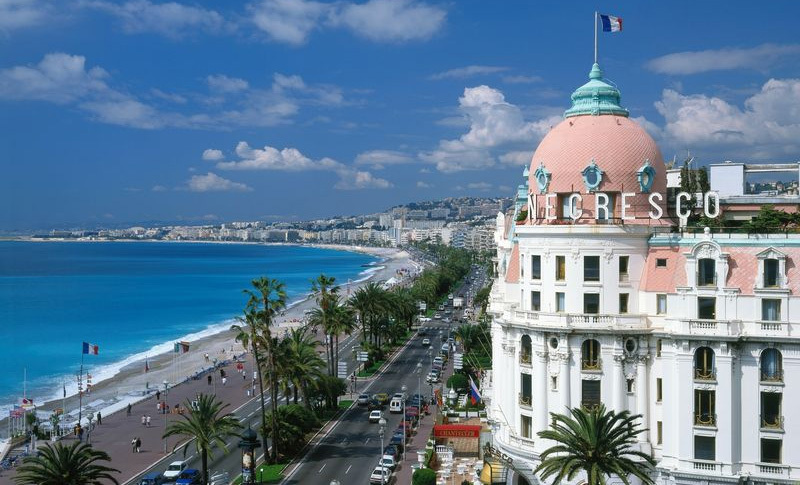 NICE, the fifth largest city in France, acts as a magnet attracting people from all over the world, for a multitude of reasons. 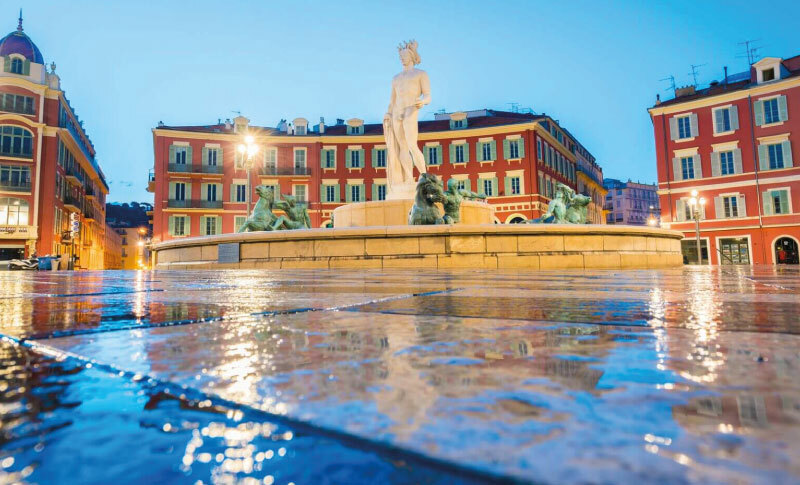 Not only renowned for its grace, Nice has become a hub for research in industry, science and advanced technology since the creation of such centers as Acropolis and Sophia Antipolis. 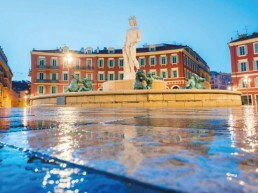 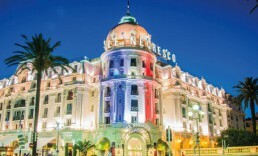 Both elegant and simple, the charm of Nice comes from its exceptional climate as well as its beauty. 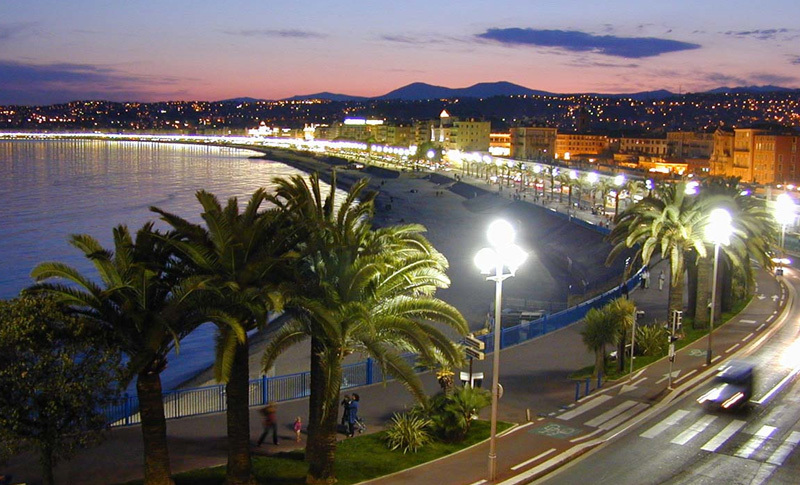 Even in the winter the café terraces are filled with people happily drinking and contemplating the ultra-famous Promenade des Anglais. 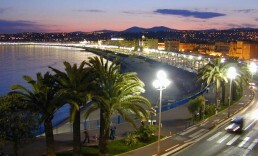 Always in flower, this wonderful walk follows along the bay, looking out onto the Baie des Anges and the beaches. 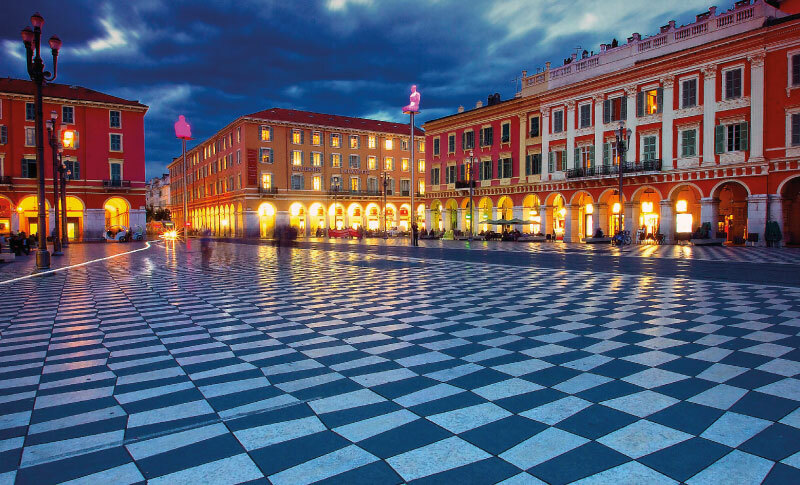 The architecture of Nice can be astonishing with the wild exaggerations of the Belle Époque style or the Baroque influenced houses and mansions on the hills of Mont Boron. 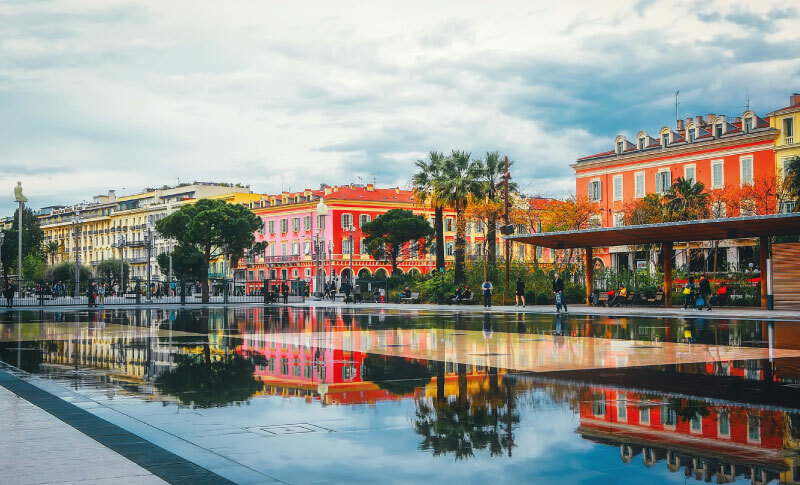 The only way to get to know the real Nice is by strolling through the ochre colored streets listening to the “Niçois“speaking their own language (Nissart) and by tasting their savory cooking. 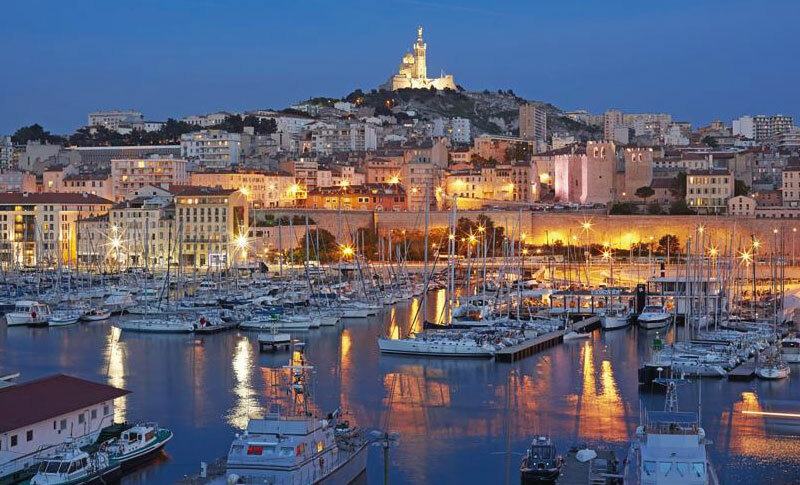 One mustn’t miss the onion, anchovy and olive tarts called Pissaladieres, the vegetable and tuna sandwiches known as Pan Bagnat, the Salade Niçoise or the famous Ratatouille (tomatoes, eggplant and zucchini squash stew). 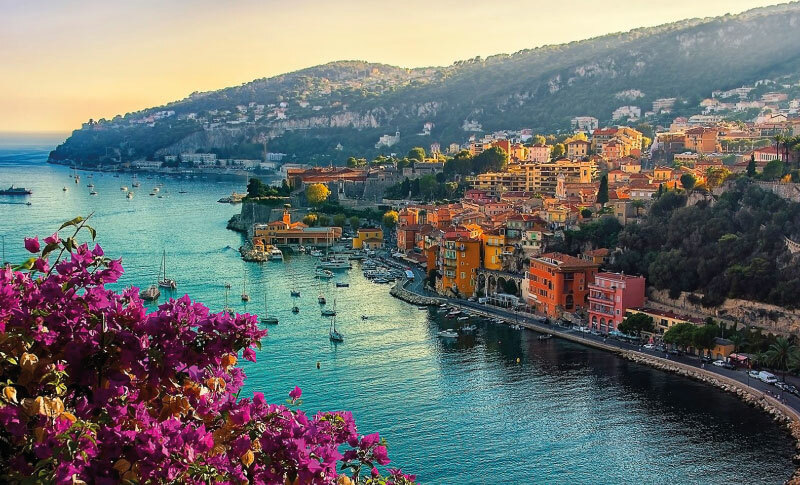 The main cooking ingredient is olive oil of course, and many of the dishes are garnished with the succulent little black Nice olives called Caillette. 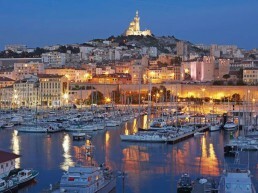 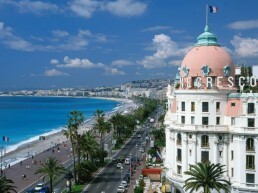 Nice is also a city of art and culture and after Paris, has the most museums in France. 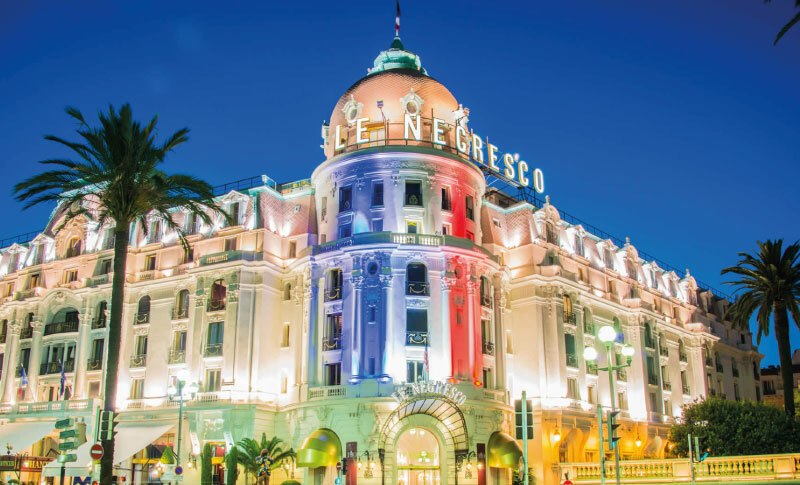 The city is animated at night as well as in the day especially in the summer with the Nice Jazz Festival held in the arena, the gardens of Cimiez, and the flower “war” on the Promenade des Anglais in which participate the prettiest women on the Cote d’Azur (French Riviera). 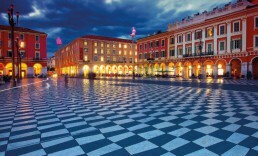 Each day on the Cours Saleya there is the great flower market where one can also find fruit and vegetables in the mornings. 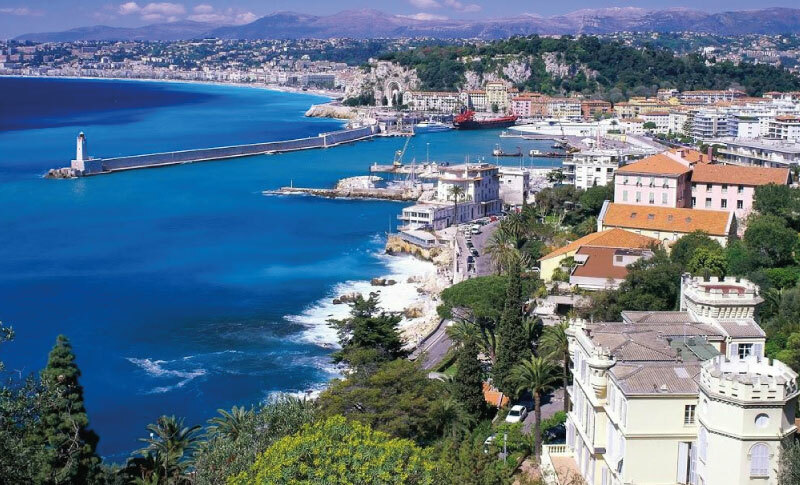 Each quarter in Nice is alive with markets, boutiques and restaurants making the whole city a lively place to visit. 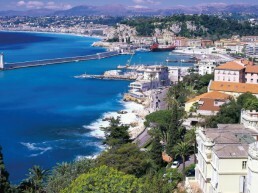 In particular, the A8 motorway, ‘La Provençale’, running from Aix-en-Provence to the West to the Italian border on the East. 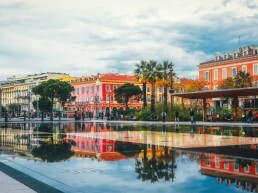 Nice has a good network of public transport services, thank to more than 130 bus routes in the 49 towns making up the Métropole Nice Côte d’Azur, as well as a 9.2 km tramway line which crosses the city. 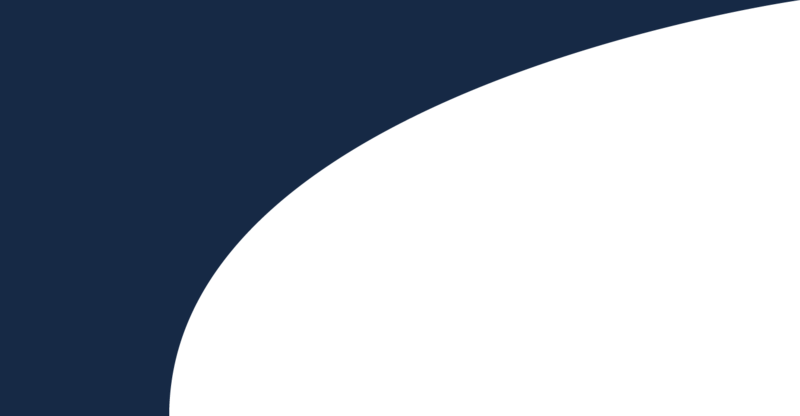 PLEASE NOTE THAT PUBLI CREATIONS IS NOT RESPONSIBLE FOR ANY DIFFERENT RATE OR COST RELATED WITH PUBLIC TRANSPORT, TAXIS AND ANY OTHER TRANSPORT ISSUE.  THE DETAILS LISTED IN THE PRESENT WEB SITE ARE ONLY INFORMATION AND SUGGESTION.